Join over a 1000 Rat Racers for our wet ‘n’ wild 10km unique running course, linking together many special water and shore based activities at truly iconic venues en route. 2014 promises to be bigger and better than ever before as we stuff in more action and adventure to an already packed 10km course. As always, no special skills required, just a pair of trainers and a sense of adventure. Grab your spot on the startline, enter now! Our event village is based at the Riverside Car Park and surrounding area, right in the heart of Stockton. For those who don’t know, the site is just south of Stockton High Street beside the river, off the A135 within easy walking distance of the bus station as well as Stockton & Thornaby railway stations. If you have a satnav, use postcode TS18 1TE to pick up our event signage (but make sure you check the location before you set off). IMPORTANT: Please note that The Riverside Car Park will be closed for the weekend of the event but there is plenty of pay & display as well as free parking available within a short walk of the event village. Stockton 2013 saw a record number of River Rats embark upon our biggest and boldest 10km course including venturing into the White Water Centre to tackle those rapids. We’re hoping to see even more of you take on the challenge this year and we’re already booking in the glorious weather! Once again we’ll be setting up camp at the Riverside Car Park and this is where you register at our Registration Tent, pick up your race pack and t-shirt before the first wave sets off at 11am. The course takes about 50-150 minutes depending on your chosen pace. Everyone will complete the same route, along both banks of the River Tees to access the iconic structures en-route. The route connects Stockton-on-Tees town centre with the Tees Barrage and downstream to the Newport Bridge. Along this route, which you can run or jog and which is fully way-marked, there are a number of activities to complete. 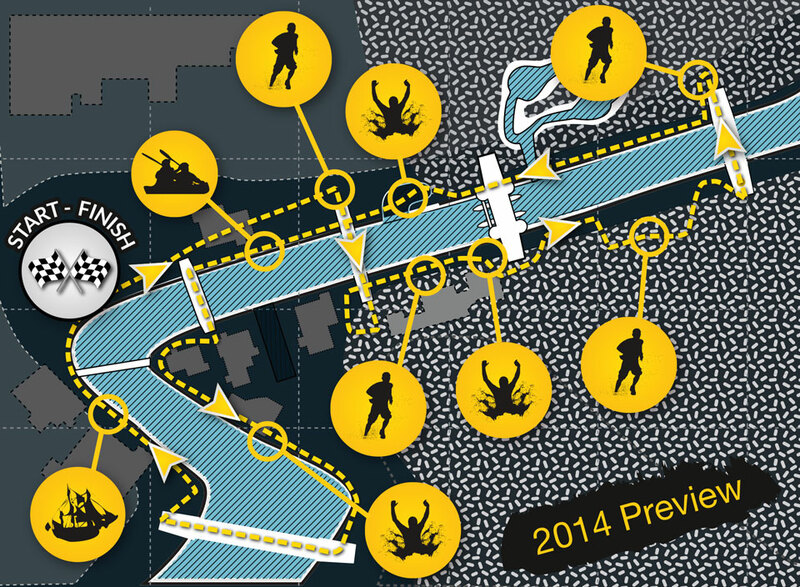 It is a race, but hey, who’s counting – just getting round this course is all that’s needed to make you a River Rat. The activities range from walking the plank into the river from Captain Cook’s replica ship; HM Bark Endeavour; a short episode of kayaking and any number of dunkings. None of these activities require special skill, but all of them are pretty exciting!